Don’t you just LOVE floral dresses? They are so feminine. They remind me of when I was a little girl, and I had to get dressed up for Sunday dinner with my family. No matter what kind of mood I am in, a pretty floral dress will always make me feel girly and pretty. Well, the trend for Spring 2012 is feminine, floral, pastel, and bright. I am so excited! I picked out these gorgeous dresses from a sea of choices out there. I just love these colors! And, I know what you are thinking……”But it’s freezing outside, and it’s still Winter!” (Well at least it is for those of us on the East Coast)….BUT FEAR NOT! I thing I love about these dresses is that you can totally rock them now, in this cold season, as well as later when the weather warms up! I would wear any of these dresses with thick fleece lined tights, a wool coat, boots and a cute hat. 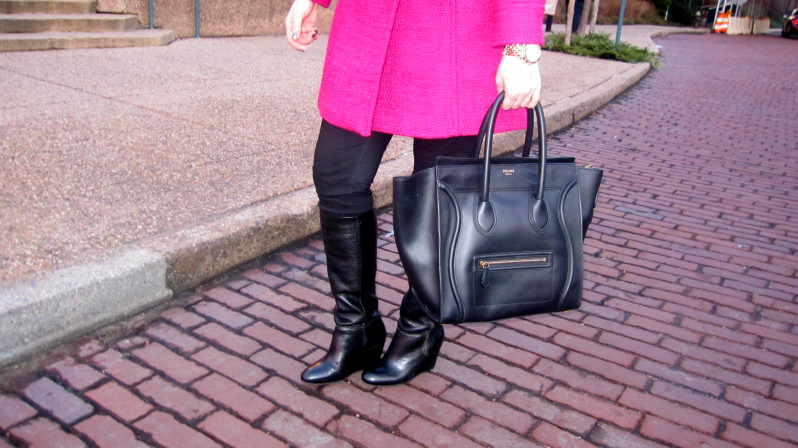 It’s the perfect way to brighten up your dreary Winter wardrobe and put a smile on your face! And of course, as the weather warms up, you can peel off your layers and show off these gorgeous dresses on their own. A great investment! These dresses range in price from super affordable, to pricey. As usual, I wanted to give you a broad range of styles to look at. And, also as usual, I will be showing off this look this week, and show you all how I would style a floral dress this Winter. Hope your New Year is BRIGHT!! 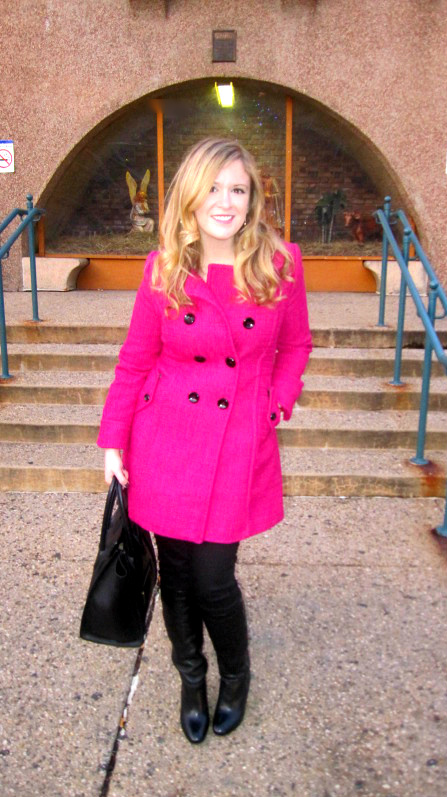 For New Years Eve day yesterday, I decided I wanted my outfit to reflect my spirit and outlook for 2012….which is BRIGHT. 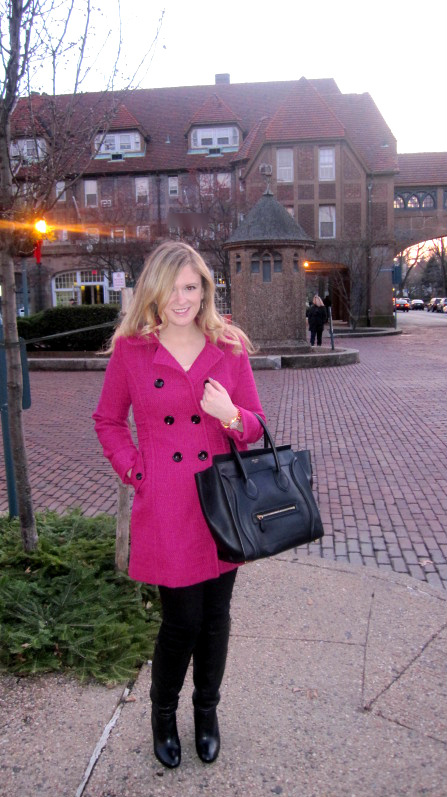 I decided to wear this gorgeous Old Navy wool coat that I purchased last year, and never had the chance to wear! I absolutely LOVE this shade of pink. 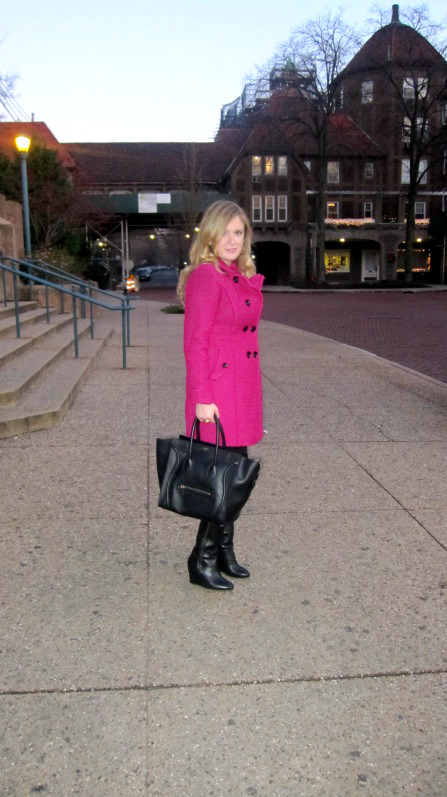 It’s such a great pop of color in the cold, dreary winters of NYC! Even wearing it made me happy! And, for a bonus, it was super affordable, as are all Old Navy coats, at just $99.99. 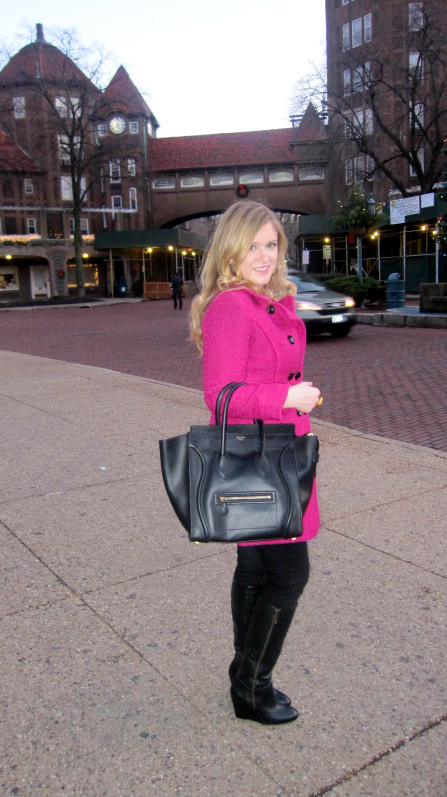 Chic, elegant, and fun for under $100 bucks!